Rusty Dragonfly Review | The Arcade Archives! First off let me say how disappointed I am you can’t see my amazing Scarlet Witch shirt, I’m wearing. 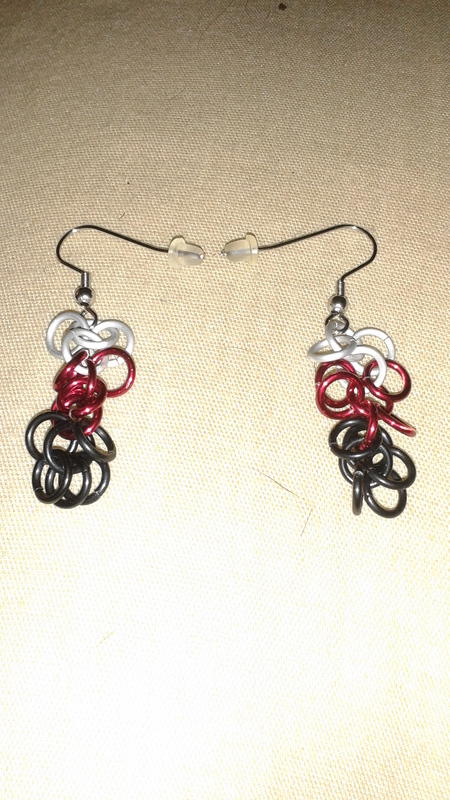 The reason is the earrings and bracelet; which you will see later are Scarlet Witch inspired. 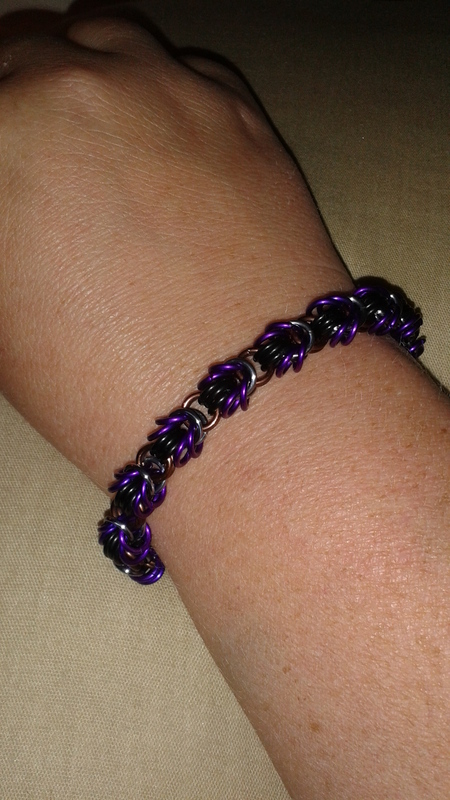 Rusty Dragonfly merges geek with craft! She does amazing work with chain-mail and dragon scales. I will show you a few examples of her amazing work. It is truly beautiful. 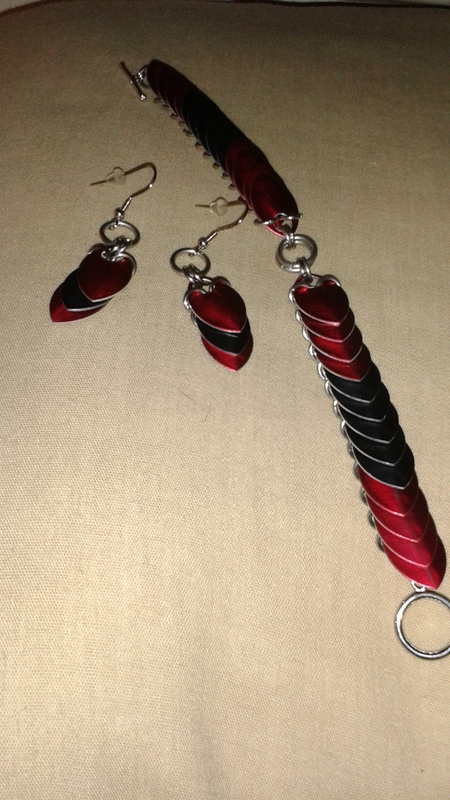 Here is another photo of the Scarlet Witch inspired earring and the earrings with the bracelet laid out so you can see them. The earrings are wonderfully light and the colors are also even more vibrant then the photos show. 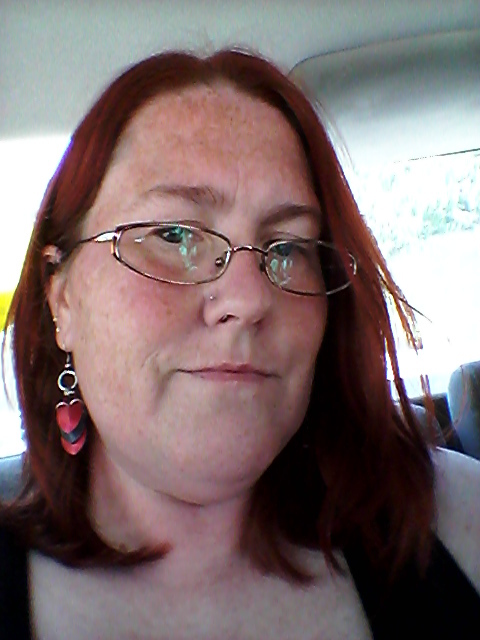 I love that even with my Ariel red hair the earrings still stand out, they don’t fade into the background. 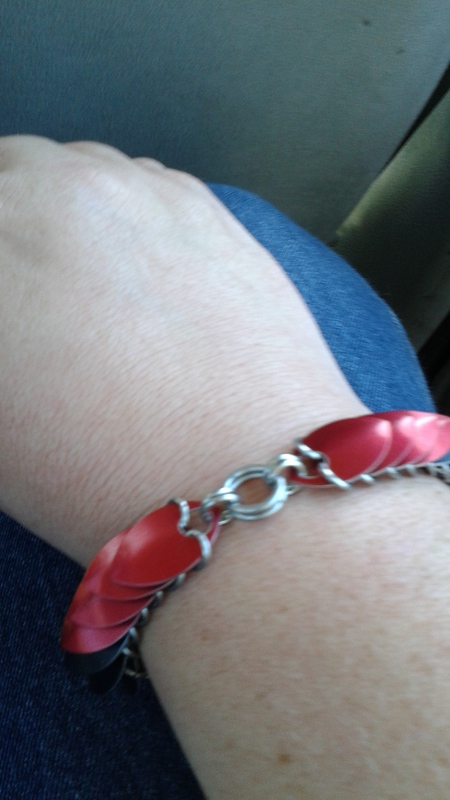 As you can see I have larger wrists and the bracelet fits just the way I like it. It isn’t tight but it has some room to move around. Rusty asked what size my wrist was to insure that it fight properly. I love the way it looks on my wrist as well. 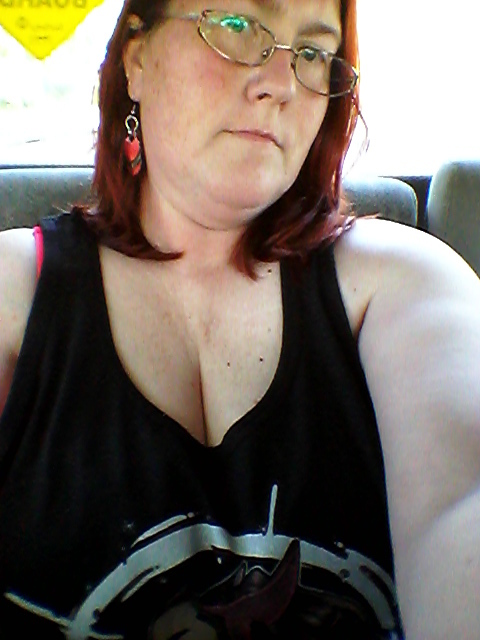 In these photos I was on my way out to celebrate Free Comic Book Day! I received several comments on my jewelry. I like it when people appreciate someone else’s work as much as I do. 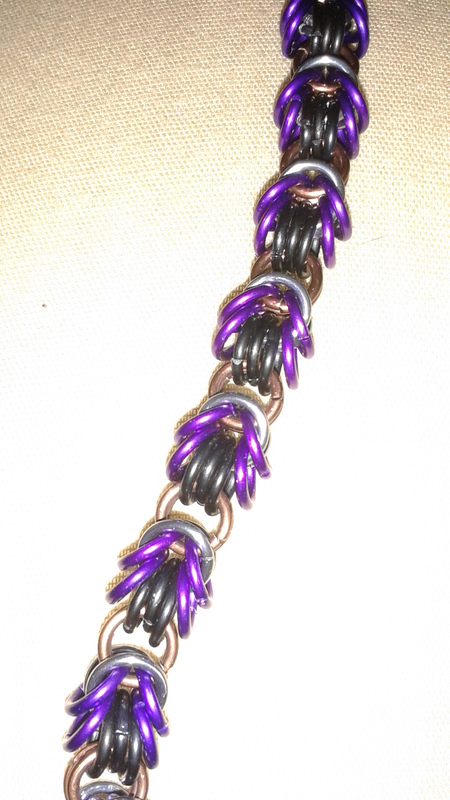 This is another style of bracelet that Rusty does this one is actually Gambit inspired! Which if you don’t already know he is my favorite male X-men character! And no I’m not excited over the abomination that is going to be the Gambit movie! 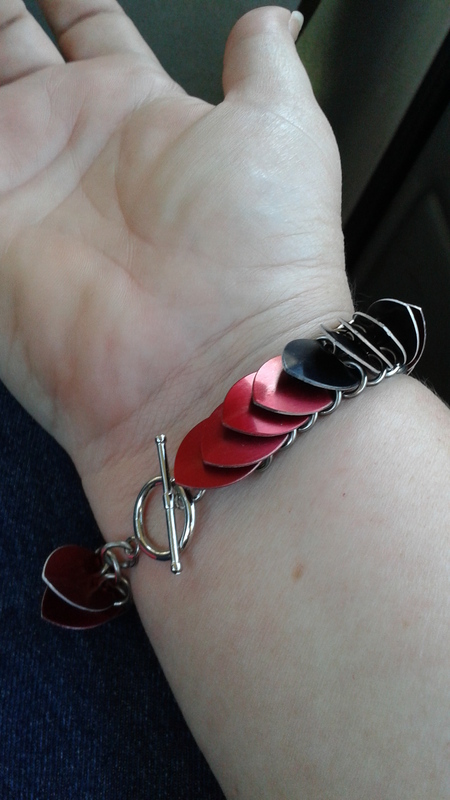 But I’m not going to get on that rant or I will just go for hours, lets get back to this wonderful bracelet. I love the design of this one, its unique. The coloring is also very vibrant as well. You would also think that due to the material this jewelry is made out of it might be heavy but it’s not. All of the pieces are bold and vibrant without weighing you down. Last but not lease is a pair of Harley Quinn inspired earrings which I had taken more photos of but they went MIA on my phone. 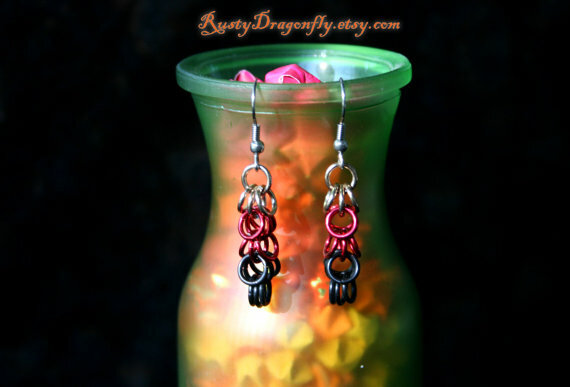 So I borrowed a photo from Rusty Dragonfly so you can see how wonderful these earrings look hanging. They are simply wonderful. They also aren’t overwhelming so you can wear them with a lot of different outfits. The pricing at Rusty Dragonfly is also very good. Earrings start at about $6 and Bracelets start around $15. For the quality and the look of this jewelry it is well worth the price. I would highly recommend Rusty Dragonfly! !